No Bulls — J.J. Fuds Inc. Your dog will love these tasty chews and beg for more. Our rawhide chews are produced in a way that makes them easily digestible. The one foot length is ideal for when you are on the go. Great for dogs of all sizes. Our No Bull rawhide chews are available in the same three flavors as the 3 foot rawhide chews. 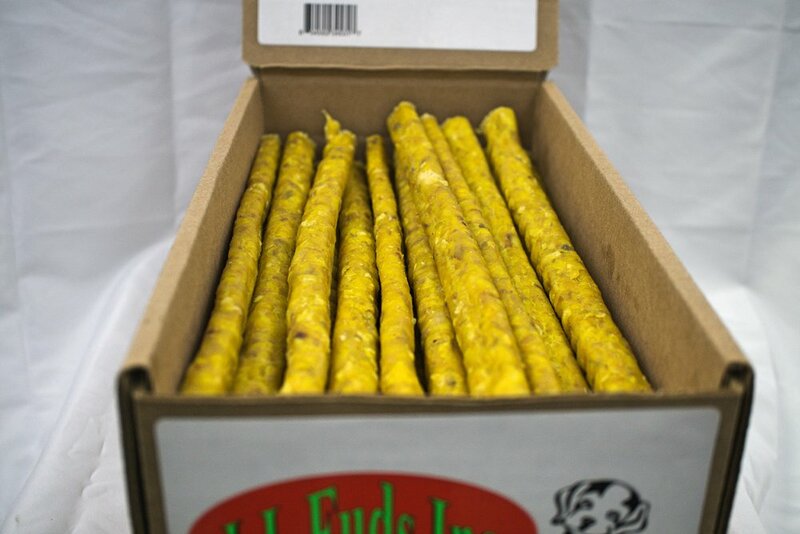 Just as with our 3 foot chews the No Bulls are made with beef rawhide, salt, garlic, and caramel color.